If you’ve done a little bit of guitar research about what instrument you want to purchase, you’ve probably run into a brand that name is Ibanez. Ibanez has a whole selection of bass guitars, electric guitars, classical guitars, metal guitars, and acoustic guitars so you can find the musical instrument you are looking for. 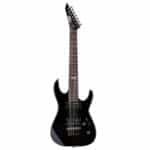 But, if you’re a beginning guitar player, how do you know which great guitar you should purchase from Ibanez? That’s why I’ve created this article! 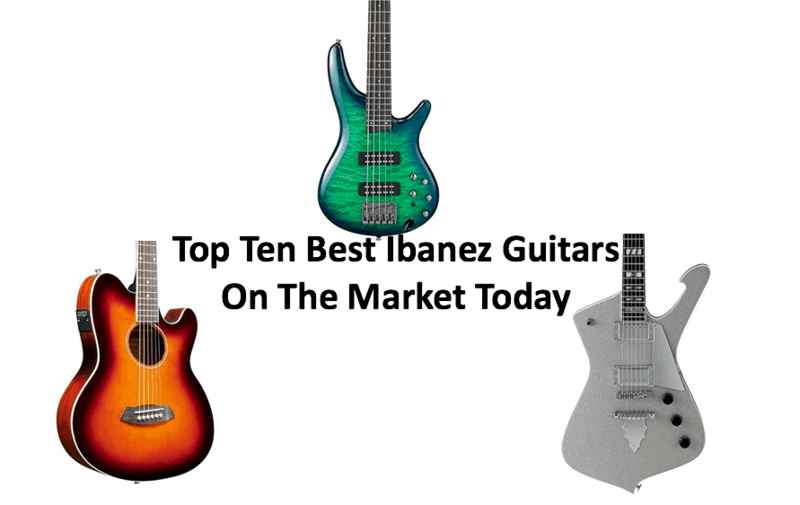 Today, we are going to talk about the top ten best Ibanez guitars on the market. I will go over the best bass guitars, electric guitars, and even talk about their best classical guitar. The guitars that I’m reviewing range in price, but they all do a superb job. I hope you enjoy reading! 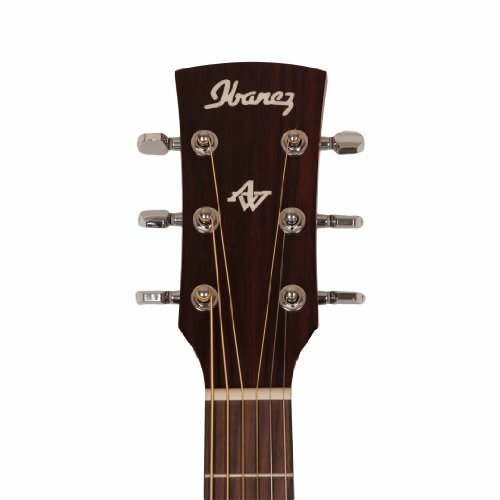 If you are looking for the best acoustic electric Ibanez: Go with the Ibanez Artwood Dreadnought here. 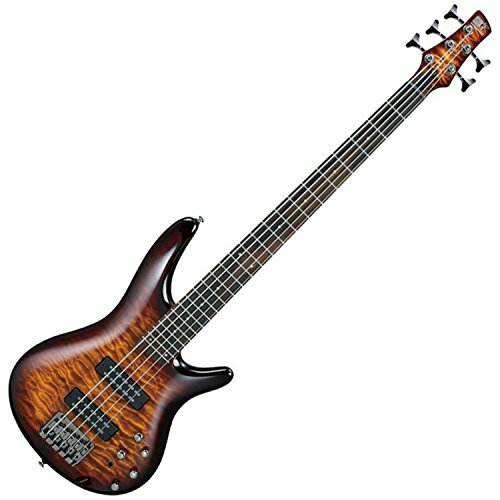 If you are looking for the best Ibanez bass guitar: Go with the Ibanez Mikro Short-Scale here. 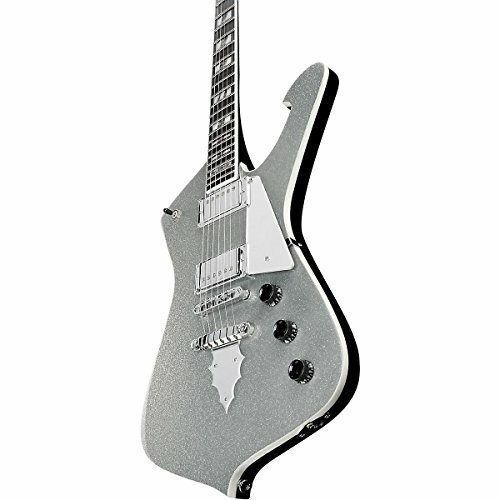 If you are looking for the best Ibanez pure electric: Go with the Ibanez Paul Stanley Signature here. The Ibanez Talman TCY10 is an electro-acoustic guitar that really has the ability to impress performers of all genres, even electric guitar players! There are several models of the Talman that are available, but the TCY10 is all laminate, which makes it one of the most affordable guitars that Ibanez produces with a great quality as well. Personally, I believe that this is one of the best guitars that Ibanez produces that is under $300, as it truly does offer a solid value. The biggest complaint that I had about this electric acoustic guitar was that the sound was a little bit thin, especially when compared to other guitars in this price range, but the TCY10 has a really relaxed manner to it, which makes it a real winner with whatever you play. As for the physical make up of the body for this guitar, the TCY10 is a steel-stringed acoustic that has a double cutaway design, a laminated spruce top that has an X bracing, 25.5-inch scale length, laminated mahogany sides and back, a high gloss finish, and an ivory binding. While this description of the body may sound very physically appealing, there is so much more to this guitar. This guitar truly has the same feeling that playing an electric guitar gives and I would say that that is mostly because of the neck- the neck is very easy to play on and allows easy access to the highest frets on the fretboard. The controls on this guitar aren’t extremely versatile; you really only have your treble, bass, and volume controls. The electronics that come with the TCY10 are the Ibanez’s AEQ2T battery powered preamp system that has an under saddle pickup. Besides the lack of versatility in the controls and the electronics, all of the other hardware on this guitar is affordable and sturdy. While all of the woods that have been used on this guitar are laminated, the combination of the mahogany and spruce provide this instrument with a smooth, well-balanced tone. When plugged in, musicians have no problem with the power or resonation that this guitar provides. The tonewood that Ibanez chose for the SR405EQM was mahogany that is accented by a quality maple top. The finish on top of the SR line is flawless and really adds to the overall beauty of the line. The neck is an SR5 five-piece maple and rosewood that also has a rosewood fingerboard. The hardware in the SR405EQM is absolutely outstanding; the bridge is an Accu Cast B305 that has a set of adjustable saddles. Visually, this bridge isn’t too different from a standard vintage bridge, but it does handle sustain a lot better. The tuning pegs that are installed in this bass guitar are solid enough to ensure that the strings can hold loads of sustain, which means that you can really go to town on this bass guitar. The electronics in this bass guitar aren’t anything too complex; there’s a set of Power Span dual coil pickups where one is at the end and the other pick up it at the neck position. This set is wired into a circuit that also includes a Power Tap switch and a three band EQ. The Power Tap switch allows players to choose between a standard series setting and two types of tap options. Even though this may seem like there’s a lot of control options, players still have the opportunity to truly bend and shape the sound and tone that they are looking for. Even though this bass guitar is affordable, the sound that this instrument produces makes it sound like a million dollars. The humbucker’s range allows you to choose whatever tone you may please. Did you know that Ibanez offers more than just bass guitars and electric guitars? Yes, they do! 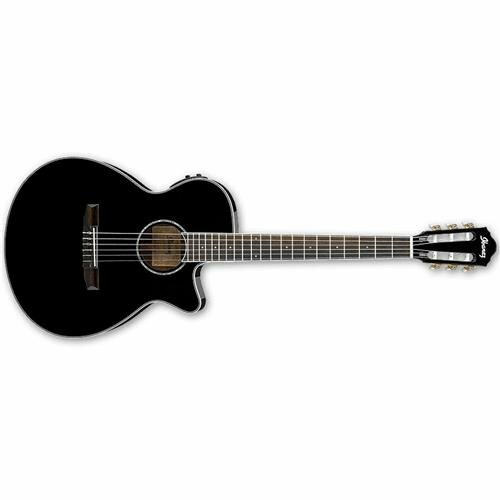 The Ibanez AEG10NII is a classical nylon stringed guitar that’s meant to really perform. The body of the AEG10NII shares the same exact body as the AEG10II, which is a steel-stringed acoustic guitar. The AEG10NII has a slender feel and a very traditional look with a 2.75-inch body depth and a single cutaway. Ibanez chose to use spruce as the top for this guitar and mahogany for the sides and back as their choice of tonewoods. There are two color options that customers can choose from and both of these colors come with a high gloss finish. The neck is comprised of mahogany and has a satin finish, with a rosewood fretboard, and twenty-one fret. The neck itself is lightweight but feels very solid and comfortable to play when in your hand. This is an electric acoustic guitar that comes with the Ibanez’s AEQ-SP1 preamp and a Fishman Sonicore pickup. The combo of these two electric devices really allows musicians versatility when it comes to living stage performances. All of the controls on this guitar are very simple; treble, middle, and bass have their own knobs, as well as a phase reserve switch and a volume control knob. The phase reserve switch is for players to use to reduce feedback when their guitar is plugged in. The AEG10NII has a very balanced sound that’s nice and crisp, without being too deep. The EQ and other controls on the guitar allow you to adjust the sound to how you would want it to be in order to achieve in effect or tone that you are looking for, which makes this guitar extremely versatile. The shape of the SR800 is really no different than any other Ibanez design. 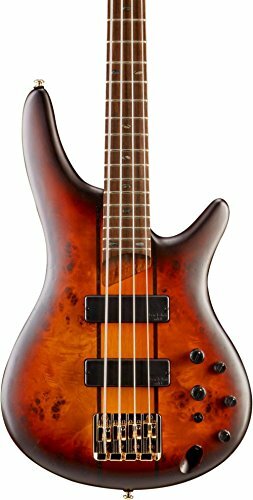 However, Ibanez decided to change the pace up their the body of the SR800 bass and use a mahogany tonewood that has a layer of poplar burl on top. There are two options for finish, but both look equally as attractive. In the build quality topic, for the neck we have five pieces of rosewood fretboard connected together to copy the Jatoba design; there are twenty-four medium frets. The hardware in this guitar isn’t too fancy; you’re looking at an Accu-cast B30 bridge and a set of tuning pegs that are pretty quality. The bridge had a small number of adjustments made to it so that it looks and performs similarly to a vintage style unit; this variation increases the sustain of this guitar, but not by a whole lot. If used regularly, tuning and intonation will stay equal and consistent. The electronics on this bass guitar are a little confusing, but very interesting. The SR800 has two Bartolini MK1 passive pups that have been wired to an Ibanez Custom Electronics three-band EQ. This unique combination really gives players a whole range of versatility and methods to add expression to their music. There is also a three-way mid frequency selector knob ob the guitar which allows you to choose between 250Hz, 450Hz, and 700Hz settings. If you’ve ever played bass guitar, take a listen to the SR800 and you’ll hear the HD sound that this bass produces. The sound has so much clarity, definition, and sustain- it’s almost too much to take in at once. If you love slapping bass or are looking to hit the lower end of the frequency range, you’ll have a lot of fun playing this guitar. The Ibanez AW54CE is a guitar that is from of Art Wood series; Ibanez made sure that this instrument not only was affordable to players of all financial backgrounds but that it also had a performance and quality that even famous professionals would be impressed with. For a nice gesture, Ibanez through in some premium touches in with this guitar, which is very impressive to find in a guitar that costs under $300. Check out the latest prices here. As for the body and neck of this beauty, the AW54CE has a classical dreadnought shaped body that has a 25.6 inch scale length, as well as a single cutaway. 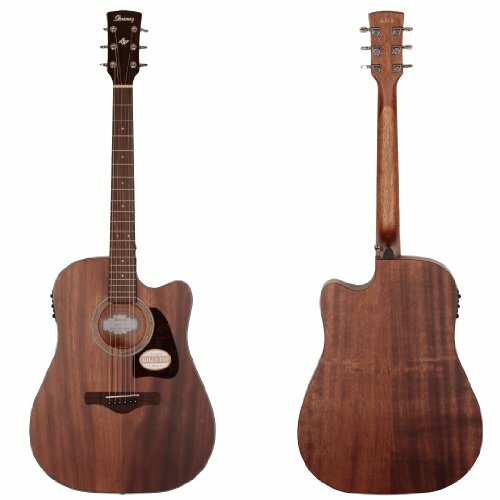 The body of the AW54CE is dark brown; this model has a solid mahogany top with laminated sides and back, which helps to make the instrument more affordable. The entire body is covered with an open pore finish, which really gives this guitar a real aesthetical finish; however, this finish doesn’t really add or take away any of the sounds. The neck connects to the body at the 14th fret, is also made from mahogany, with a classic rosewood fretboard. There are twenty frets in total on this model, with simple dot inlays covering the fretboard. The finish on the neck is an ultra smooth satin finish, which really allows your hands to slide up and down the neck with ease. Another cosmetic detail that Ibanez added to this model was the tortoise shell pick, which adds an amazing vintage appeal to this well-built quality instrument. While the cosmetic appearance of this instrument may be incredible, the actual performance of the AW54CE is even better. The AW54CE is jam-packed with technology to truly add to the overall sound quality of the instrument. For example, Ibanez used the Fishman Sonicore pickup as well as the Ibanez AEQ210TF preamp to combine together to really add some extra oomph behind this guitar. The AEQ10TF system that Ibanez installed into this guitar has a comprising treble, volume, bass, and onboard tuner and it’s completely battery powered. Moving on to the headstock, the AW54CE has six chrome die-cast Grover tuners, a bone saddle, and a bone nut all on the rosewood bridge; Ibanez installed Ibanez Advantage bridge pins into this guitar, which makes changing strings a lot easier to change out to maintain consistent placement of the strings. When this beauty is unplugged, it has a rich tone that’s absolutely stunning. Due to the shape of this guitar’s body as well as the combo of the solid mahogany top, the AW54CE has a lot of natural projection and resonance to provide in a performance. While that may scare some people, there is also X bracing in this guitar, which allows players who are looking for a more articulate sound to receive that. Not much changes when this guitar is plugged in; everything sounds the same, but there is a slight limitation on your controls. 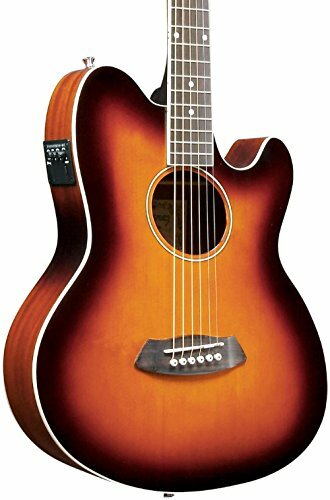 Overall, for $300, the Ibanez AW54CE really is worth the money, as it’s very impressive, just talking about the sound alone. The cosmetic appearance of the instrument has a very vintage appeal to it, but doesn’t lack in electronics or sound performance. This is an amazing guitar to purchase, no matter what your skill level is. If you’re looking to purchase yourself an Ibanez electric guitar that fits perfectly into the world of metal music, you’ve found yourself the right guitar. More than likely, if you’ve done any research before reading this article, you have read or heard a lot of people talking about how Ibanez makes the best electric guitars for metal. Depending on your budget, there are several Ibanez electric guitars that you can choose from that all have an amazing quality to them. 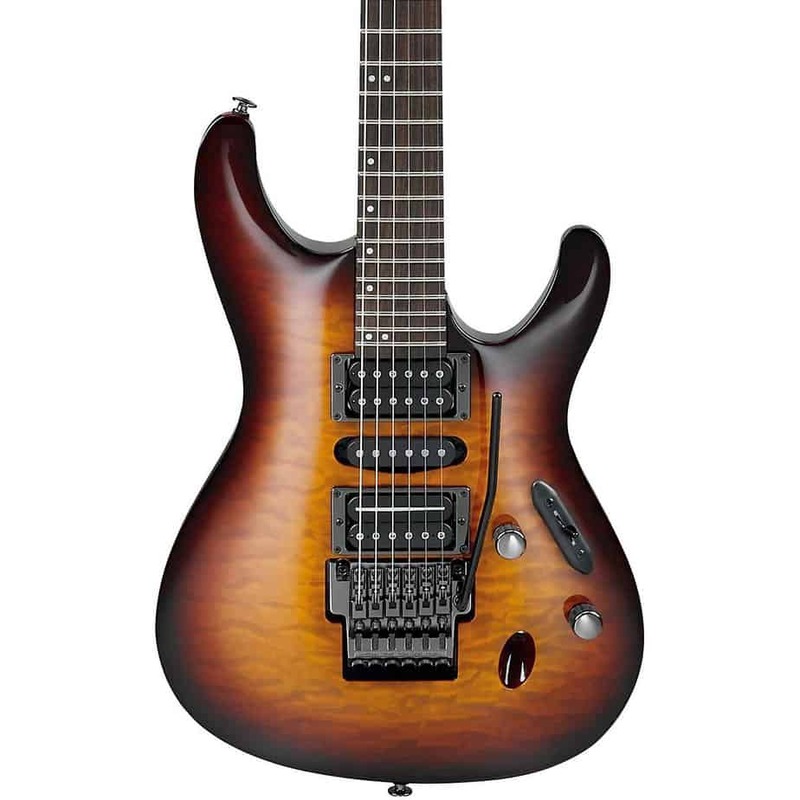 However, the S Prestige Series S5570Q is the electric guitar that we’re going to talk about right now! Ibanez’s electric guitars are famous for their smooth necks, as they are very easy to play on. The neck on the S5570Q is really amazing, as it’s thin enough for metal guitarists to shred on the neck, but has enough girth to the neck that makes playing heavy riffs or complex chords easy. The body of this instrument is comprised of mahogany, which is great for anyone who is looking to play in the rock or metal industry since mahogany produces sound with high levels or resonance. The fingerboard is just your classic rosewood and has twenty-four jumbo-sized frets. For the whammy bar, this electric guitar has a Lo-Pro edge bride on display; this whammy bar does an incredible job of keeping proper tuning and intonation on the instrument. The jumbo frets are truly high quality and do not produce any fuzz or extra distortion. However, in my personal belief, the strongest section of the S5570Q is the pickup section, as the S Prestige S5570Q has a single coil Short Tracer 2, high output Hot Grinder 2, and a Hot Grinder 1; each of these pickups provide the guitar with the ability to produce completely different effects and vibes. This electric guitar truly gives you an unlimited amount of choices when trying to decide on what type of audio configurations you’re looking for. 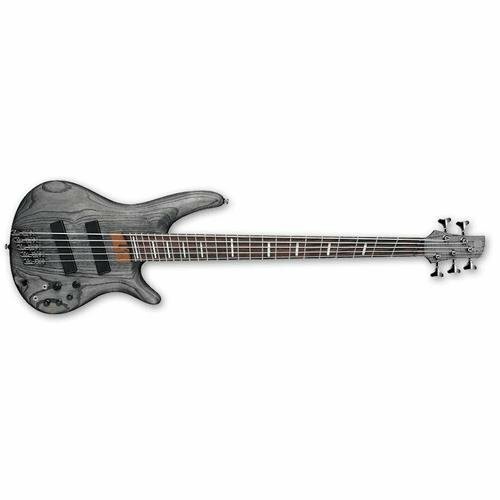 The body shape of the SRFF805 is very similar to the other bass guitars that Ibanez produces. For tonewood, Ibanez chose to use ash and only provide a Black Stained finish. The entire bass has a chilling vibe, which is very interesting to find in a medium priced bass guitar. The neck is a five-piece Jatoba design with a fretboard that has been adjusted for multiple scales as well as medium frets. Since this bass is fanned (which means that the bass has been adjusted for medium frets and multiple scales), there is a special bridge that has been installed on this guitar. This bridge is the mono-rail V Bridge that comes with five adjustable saddles that are all for different scale lengths. You will also find a set of five Ibanez tuning pegs that help to maintain quality and performance. As for the electronics in the SRFF805, you get two Bartolini BH1 pickups that have been adjusted for a fanned layout. You also receive control over the Master volume, three-band EQ, and blend, as well as an EQ bypass for a three-way mid frequency selector. All of these options really allow you to shape the tone of your bass, which really adds to the versatility of the instrument. This bass guitar can truly adapt to any sound that you put it in; there is only one signature feature that this bass guitar produces and that is a high output vibe that is present, which is always present with all active bass guitars. The sound this guitar produces has a lot of definition to it and can easily be adjusted along with the frequency range. In terms of tonal production and tone control, the SRFF805 is simply incredible. If you’re interested in purchasing a guitar that’s really going to make you stand out from the crows, this is it. There’s an extreme look to this guitar with its distinctive exaggerated teardrop shape and a large sing cutaway fish hook. 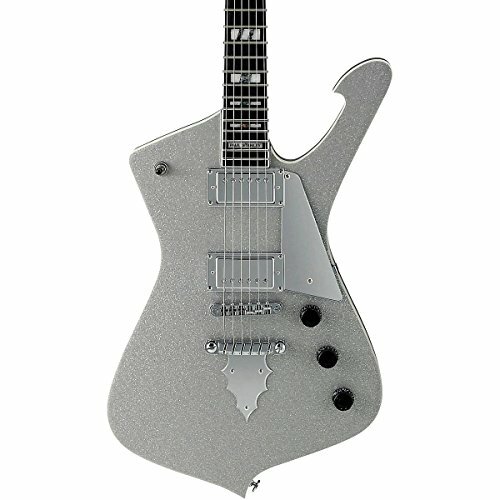 The design on this body really gives this guitar that rock-n-roll glam look and it comes with a sparkling silver finish. With a maple top, a solid mahogany body, and a 24.7 inch scale length, the Paul Stanley PS120SP guitar is really going to rock your world. The neck is a three-piece mahogany neck that is set into the guitar and has a thin profile, especially when compared to the rest of the body of this guitar. Since the neck is so thin, guitarists really have the ability to play fast on this neck. On top of the neck Ibanez installed a bound ebony fret board that has stunning abalone and acrylic block inlays with twenty-two medium frets. While the PS120SP may have all the looks, that isn’t the only thing that’s amazing about this guitar. It’s very clear that this guitar was made for performance with it’s solid chrome components. On the head stock of the guitar, you will find six chrome tuners that really help to provide this guitar with a stable tuning. There is also a Quick Change III tail piece that makes changing strings to be smooth, while also providing the instrument with good stability and sustain. Ibanex installed two Seymour Duncan passive covered humbuckers that truly add an amazing classic rock sound to this guitar. There are three types controls on this guitar that are simple, but really do add to the overall sound production of this instrument. Those controls are: a master tone control, three responsive top hat tuners, and two volume controls that individually tend to each pick up. There is also a placed three way pick up selector switch, while allows you to choose your pick up. No matter what classic rock song you’re looking to produce or play, this guitar is one of the best classic rock instruments you can purchase. 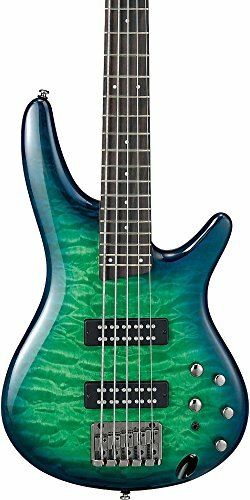 Providing musicians with entry level bass guitars is something Ibanez is well known for. Since they have had decades to work on building bass guitars, the Japanese based company produces quality bass guitars for beginning guitarists. The Ibanez SR370 bass guitar is one of Ibanez’s oldest guitars in their bass collection and is often recommended to any beginning bass guitarists because of the price tag and quality. The SR370 bass guitar has the typical SR shape that many models in the bass guitar family sport. Ibanez used maple as their choice of tone wood, which really helps to add to the overall quality of this instrument. There are several different finishes that are offered when you go to purchase this instrument, but that’s not the most interesting part of the whole instrument. The neck is very intriguing, especially because it is comprised of a five piece design that has been developed from rosewood and maple sections. The fret board on the SR370 is rosewood and has the typical standard dot inlays. As for the hardware of the Ibanez SR370, there are several components that went into creating this masterpiece. Ibanez used the Accu-Cast B120 bridge mainly because the bridge was carefully designed to be able to withstand the use of a variety of string gauges and still maintain a solid intonation. Also, the B120 bridge has saddles that are completely adjustable, which is another great way that string retention is maintained on this bass guitar. The electronics in this bass guitar are a set of humbuckers that are incredibly versatile. If you’re looking for a bass guitar that will give you options with your flexibility or range, the SR370 is certainly not going to disappoint you, even if you need sharp sounding treble! No matter where you want to go with your bass guitar sound, the SR370 has an incredible set up that truly is versatile. For over several years, the GSRM20 Mikro Short-Scale Bass guitar has been one of Ibanez’s best selling guitar, especially because it’s marketed to be an extremely versatile bass guitar. If you’re interested in purchasing a short scale bass guitar that provides the same sound and effects as a regular sized bass guitar, you’ve come to the right place. Everything about the GSRM20 is exactly the same to any of the other bass guitars in the GSR lines, except for the sizing! The tonewood that Ibanez chose for this guitar is Agathis and there are several different options for users to choose from when it comes to finishes. The neck is where users start to begin seeing noticeable differences; the neck is 28.6-inch scale, which is a lot smaller compared to the average bass. However, that’s the most noticeable difference; the neck still displays a rosewood fret board and has pearl dot inlays. When it comes to looking at the most affordable bass guitars, most manufacturers choose to go with the most basic hardware that they can and you shouldn’t expect anything different with the GSRM20; it has a standard bridge that comes with fully adjustable saddles and die cast tuning pegs. As for the electronic set up of the GSMR20, the setup just has an additional coil in the bridge position, which is what helps to make this bass guitar so affordable. Your standard tone, bridge pickup volume, neck pickup volume knobs are all controlled by the Std. J pickup (which is located at the neck of the bass) and by the Std. J (which is located at the bridge). Even though this may be a smaller sized guitar, you shouldn’t expect a small sound out of it, it is still a great guitar. My favorite part of this entire bass guitar is the incredible amount of sound that it’s able to produce, with both muddy and clear tone settings. The whole bass sounds very smooth on the scale and there’s the perfect amount of tension on the strings that really help to make the bass notes stable. 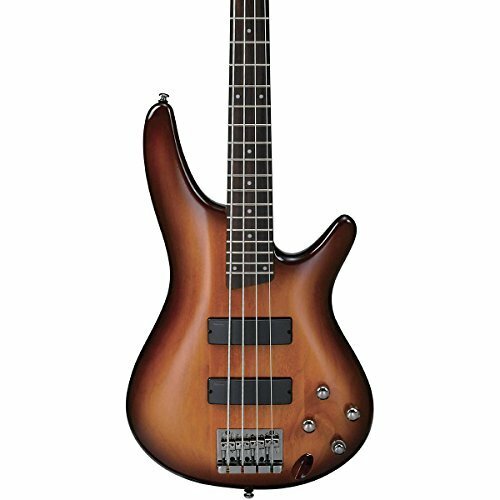 If you’re looking for a quality entry level bass guitar that’s affordable and has all the right features, the Ibanez GSRM20 is a bass guitar that you should truly take some time to look at. Acoustic vs Classical Guitars: What’s the Difference?